Trust is important in any relationship and not least in building a relationship with your online customers. Research tells us that when a customer trusts a company, they anticipate that company will fulfil their needs and expectations (Bauer, 2002; Bhattacherjee, 2002). And that a consumer’s purchase decision to buy online is complex and sophisticated, but trust is a relevant factor (McKnight, Choudhury & Kacmar, 2002), citied in Zhang et al. 2009. I became interested in this area when I started usability testing. We would see two similar applications which performed very much the same in terms of efficiency and ease of use etc. but for some reason, users would much prefer one application over the other. 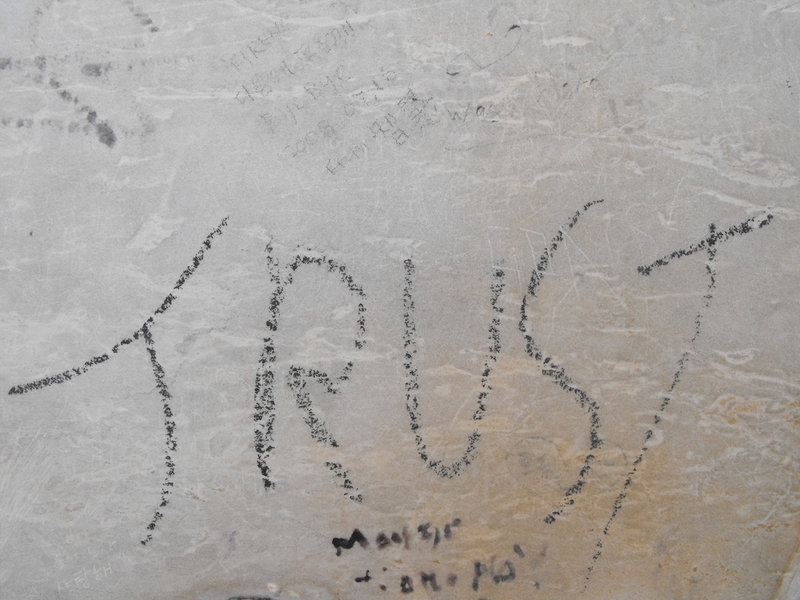 I believe trust was one of the elements that made the difference. Good level of trust = more positive user experience. While talking to users about online payments, we hear that more and more customers are looking for the lock icon and/or https in the address bar before they commit their credit card details to a site but what about other aspects of trust in an online experience? According to Nielson Norman Group – Trust is the user’s willingness to risk time, money, and personal data on a website. And they produce a report with design guidelines for increasing trust which is available to download for a fee. Some advice for free comes from a very interesting article from UX matters which gives us some tips on building trust in e-commerce sites for first time visitors. Good Design and Content: User testimonials, the perception of easy search, easily defined categories, clear content etc. Some other excellent advice for building trust comes from BJ Fogg from Stanford University and his book of Persuasive Technology: Using Computers to Change What We Think and Do. If meets your positive expectations – expertise – quick response, email confirmation, easy to find stuff, gives authors, is searchable. Does not have Pop ups and ads, Out of date info or Domain name and company name not the same. And an increased number of trust elements (professional logo etc) combined with clear design, content and ease of navigation = increased perception of trustworthiness. Zhang, X., Prybutock, V.R., Ryan.S., Pavur. R., 2009, ‘A model of relationship among consumer trust, web desing and user attributes’, Journal of Organizational End User Computing, Apr-Jun, pp. 44-66. Great post Abi, and lots of useful resources signposted. I will review our own application in the light of the points you highlight. Where does trust fit as part of the overall decision process (to sign up for a free offering or buy a product)? Is is a so-call hygiene factor, i.e. it causes a problem if it is not addressed but, once the basic things are done the users does not allocate much weight to more trust elements? Or is it a factor that keeps contributing to the decision the more trust factors you add? I’m really asking which category of factor do you think trust is according to the Kano model http://en.wikipedia.org/wiki/Kano_model .